British firm builds experimental iPhone 6 with hydrogen fuel cell — A British company called Intelligent Energy has reportedly built a working version of an iPhone 6 that integrates both a rechargeable battery and a hydrogen fuel cell without altering the dimensions of the device. You’ll find yourself back at the Blocked window with the offending name/number added to the list of blocked contacts. Tap the blue “i” with a circle around it to the right of the number. 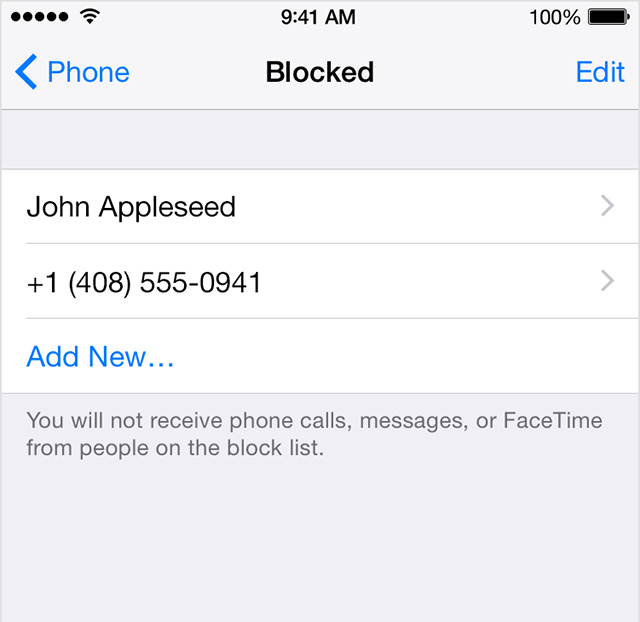 The message “You will not receive phone calls, messages, or FaceTime from people on the block list” will pop up with two options: Block Contact or Cancel.